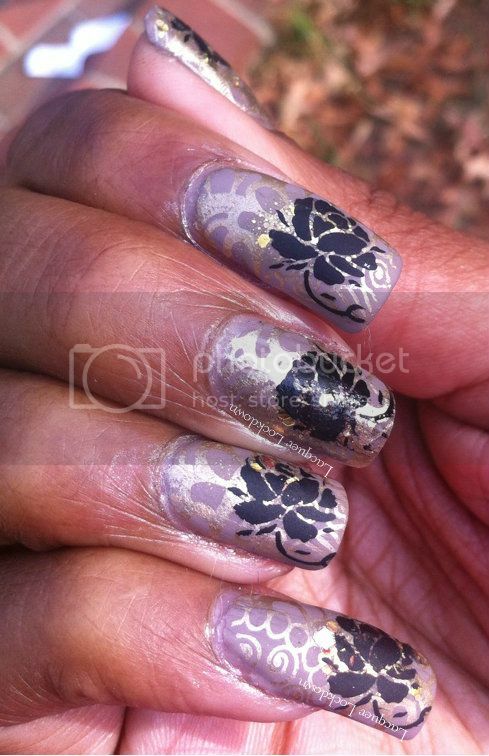 Lacquer Lockdown: Wallpaperings...On Sundays I Stamp! Let's do a quick rundown shall we? 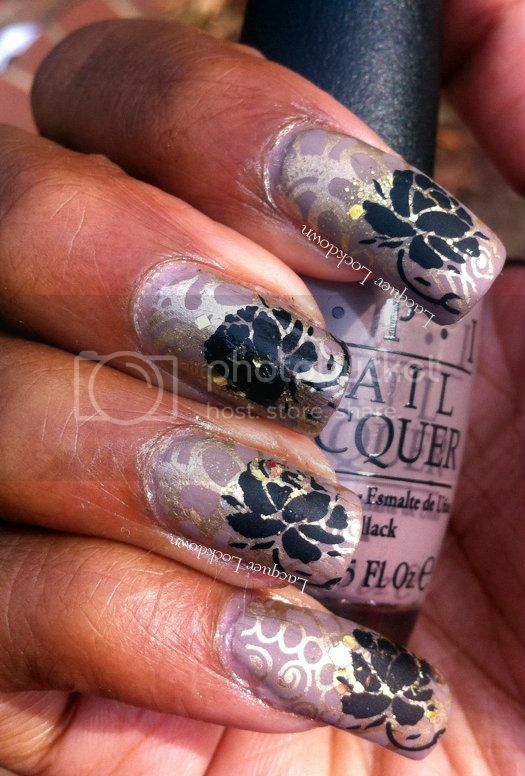 First, I am loving everything about OPI's Germany Collection. These colors are rich and Berlin There Done That was opaque in ONE COAT!! You all know how friggin excited I get whenever I run across one coaters because it makes nail art so much easier it also means this elegant lady probably stamps beautifully. So win all around :) Second, I haven't touched my Lynns in a while. Honestly I wasn't sure what I was going to do with them, but I bought them and truth be told I love them. So change made and appearance and it's gorgeous both matte and glossy! Third and final, I love the Dashica plates and recently I unbelievably won the Like and Share giveaway from Shirley. So I had to pull out my Dashica plates, the first plates I've ever purchased internationally, in anticipation of my set to come! Outstanding I love this design. It's something about stamping designs matted they look so vintage to me. Rhonda thanks! I love anything that resembles wallpaper and this mani made me realize I'm not doing matte nearly enough! Great mani as always!! I'm really interested in these Dashica plates!!!!! Lol Vicky you are always too nice! Thank you :) Um I really freaking love my Dashica plates I've got two of her XLs and and also several of the XL SdP plates. The DASH set that I won is new and it's awfully cool as well :) I'm really excited!